Gone are the days when you could leave your house unlocked, or your vehicle unlocked, and come back to all of your belongings where you left them. In this day and time it is important to have surveillance and let it be known that you do. That's why I wanted to let all of you know about these heavy duty warning signs. 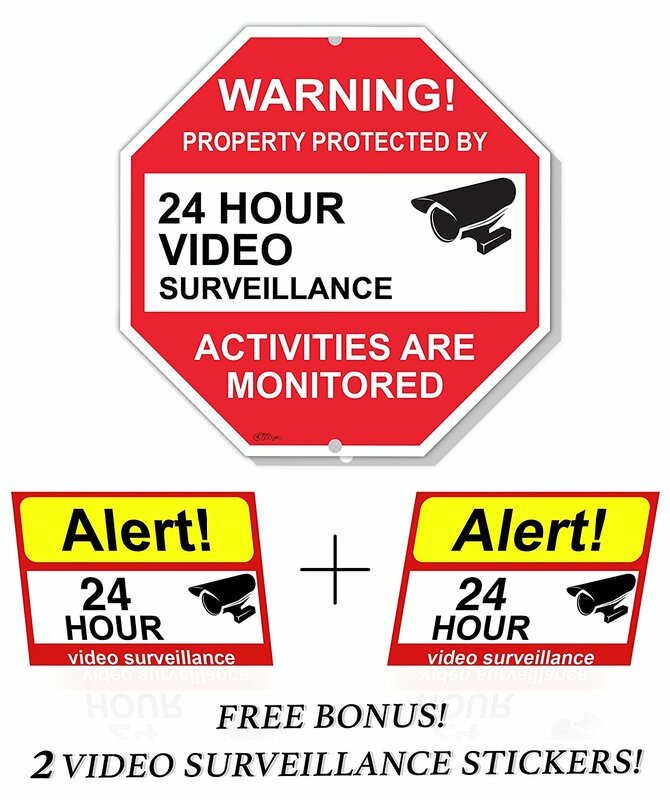 Rivit's Gadget Video Surveillance Signs are made of aluminum and hold up to the weather . These signs are large enough to be seen from a distance and the colors and lettering are bold and clear. Let them be a warning to a would be intruder, even if you don't really have surveillance cameras. They serve as a good deterrent. This sign is 12 in. x 12 in. octagon, I like that it's "stop sign" shaped, to me that's a subliminal message to would be intruders to STOP before breaking into your home. There are 2 pre-drilled holes in this sign to make installation easy. The metal that's used to make these signs is durable and sturdy. There is a 12 month guarantee, they will not rust, they are weatherproof. 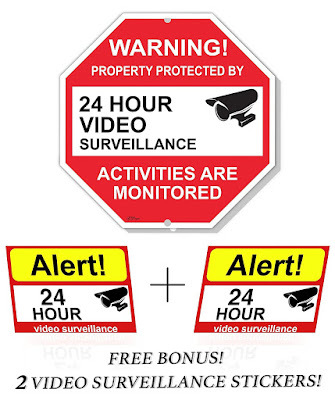 They can b e used to protect your home, business, private road, condo, yard, and more. The sign also comes with 2 warning decals.